Dancer, singer, and DJ who rose to fame dancing on tour with stars like Chris Brown and Kanye West. She has worked on shows like So You Think You Can Dance and The X Factor USA. As a choreography assistant, she's aided tours like the Skyscraper Tour and the Mrs. Carter Tour. She was trained to dance at Denise Wall's Dance Energy and at fifteen took the title of NYCDA National Teen Outstanding Dancer. 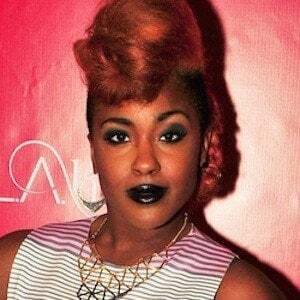 She and her sisters Deja and Bobbie make up the R&B girl group Riley. She made headlines alongside her father Teddy Riley when he sued her for undue credit in the writing of "Teeth" by Lady Gaga. She has two sisters, Deja and Bobbie. She worked with choreographer Mia Michaels while she assisted on So You Think You Can Dance.